From Gallery LVS & LVS CRAFT (Gallery LVS) first participation in Collect 2013 and following participation in 2014 and 2015, they have shared highlights of Korean contemporary porcelain artists in London. The gallery has participated with theme of White in White and in 2014, under the theme of ‘Contemporary & Modern Ceramics of Korea: Modern Masters’ they have shared works of LIM Hang-Taek, LEE Eun-Gu, KIM Taek-Han, KIM Se-Yong and YU Gwang Yeol. The exhibition has provided a chance to re-frame idea of traditional Korean porcelain which has brought great sensation. At this year’s London Collect 2018, Gallery LVS look forward to present works of three Korea Hand Masters (KIM Bok-Han , SEO Kwang-Soo, YOO Gwang-Yeol), four Icheon City Hand Masters (KIM Yong-Sup, KIM Panki, YU Yong-Cheol , LEE Kyu-Tag) and selection of Icheon based artists(KWAK Kyung-Tae, KIM Kyung-Su, KIM Pyung, LEE Eun-Gu, JUNG Kwang-Sik, HAN Do-Hyun) with contemporary taste to share the history and future of Korean ceramics. Icheon City, Korea has a tradition of artisanship dating back over 1,000 years and is the heart of Korean ceramic production. In 2010, Icheon City was designated as a UNESCO City of Crafts and Folk Art which allowed its ceramics to be recognized and appreciated on an international level. Its distinct style has at the same time distinguished itself from those of other cultures while having a great influence on the domain in general. 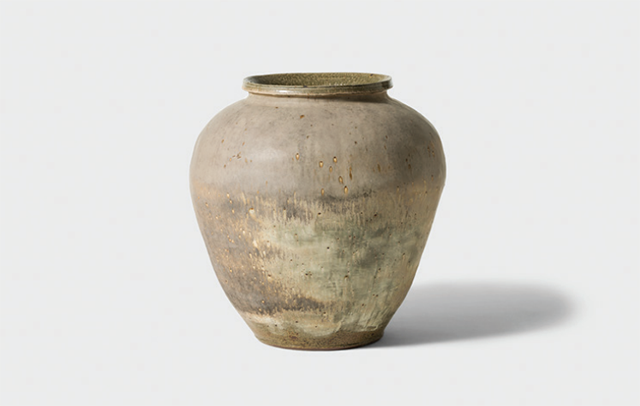 Works such as onggi, Korean earthenware, the famous jade green celadon of the Goryeo dynasty (918–1270, 1356–1392) and the white orb-shaped moon jars from the Joseon dynasty (1392–1895) can be found in prestigious institutions worldwide including the British Museum and the Metropolitan Museum of Art. Amongst the 25 objects featured include pieces created by either a Korea Hand Master or an Icheon City Hand Master. The achievements made by Korea and Icheon City Hand Masters have allowed for the development of a rich practice blending longstanding and contemporary craftsmanship. Other works presented include pieces made by young contemporary artists as well as a sculptor. An annual highlight of Europe’s creative calendar since 2004, Collect brings together 39 galleries from four continents for a celebration of making, extraordinary in both scale and scope. Museum-quality works and installations from hundreds of the most talented makers in the UK, USA, South Korea, Japan, France, Norway, Italy, Belgium, Germany, the Netherlands and Sweden will offer visitors and collectors a multidisciplinary overview of the people, processes, materials and ideas defining international craft in 2018. From the makers sustaining and enhancing historic craft techniques to experimental artists breaking material boundaries and pioneering new processes, Collect provides an immersive and wide-ranging snapshot of what craft means today, and a glimpse of what it might become in the future. Selected by a panel of experts, including Rainald Franz, Curator of Glass and Ceramics for the MAK in Vienna; collector and independent jewelry expert Joanna Hardy; Damien Whitmore, Chief Creative and Marketing Officer for Phillips; and chaired by Annie Warburton, Creative Director of the Crafts Council, the roster of galleries exhibiting includes Collect stalwarts who have participated since the first edition and returning galleries who debuted in 2017, with 30% of the galleries making their first ever appearance at Collect. Leading innovation in making across the UK, the Crafts Council is the country’s foremost authority on contemporary craft in all its forms. Founded in 1971, its role as guardian and champion of national craft practice has evolved to include exploring and enabling new possibilities, making methods and technologies. Having played a pivotal role in the development of some of the UK’s most accomplished and respected makers, the Crafts Council is devoted to finding and empowering new talent across the craft sector, creating platforms for emerging makers to show their work, forging connections between people and industries, and providing practical and inspirational resources to support the careers of our next generation of makers.